Momoland revealed Kang Ho Dong was the inspiration behind their choreography for "Bboom Bboom"! 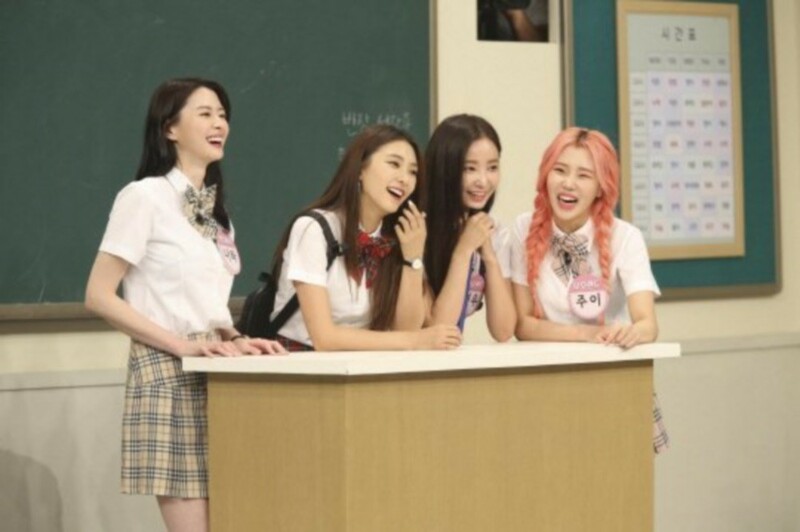 During filming for the upcoming episode of 'Knowing Brothers', Bora, Hello Venus' Nara, and Momoland's Yeonwoo�and JooE�appeared as guests under the theme 'La La Land'. Yeonwoo and JooE were asked about their choreography, and they responded, "We created our dance after being inspired by Kang Ho Dong's dance on 'Knowing Brothers'. We even named it the 'Ho Dong dance.'" This episode airs on July 7 at 9PM KST! Do you know which part of Momoland's choreography was inspired by Kang Ho Dong?